It's my first time to attend an event that talks about everything Fujifilm Instax at the quaint Vanilla Cupcake and Bakery in Trinoma. 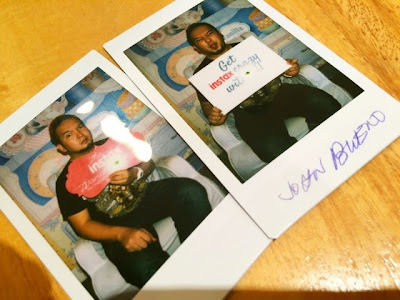 They called it "The Instax Wanderlaunch" to feed the inquisitive minds of Fujifilm Instax lovers this side of Manila. I've been dreading to get my hands in one of these because it's one of the mediums I've less explored when it comes to photography. I am a Fashion Photographer and I fancy things like these especially when I see gun-hoe Fashion Bloggers take sheer effort and see their output in just a few minutes. The vintage effects are wildly spectacular, the other cute ingenious things added to that mix were pretty popular especially the ones they have launched last December 6, I wanted to see for my self the new models of Instax. That's where we met the new instax Mini Hello Kitty, instax wide 300 and more color variations of the much loved instax mini 8, and mini 90 Neo Classic. 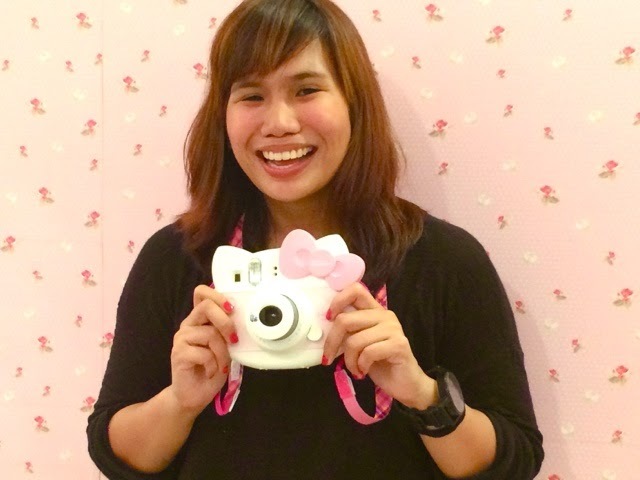 Meet the ultimate Hello Kitty lovers dream camera, this is the Instax Mini Hello Kitty. This is the cutest camera that I have ever seen in my entire life, it'll probably be the same with you guys. 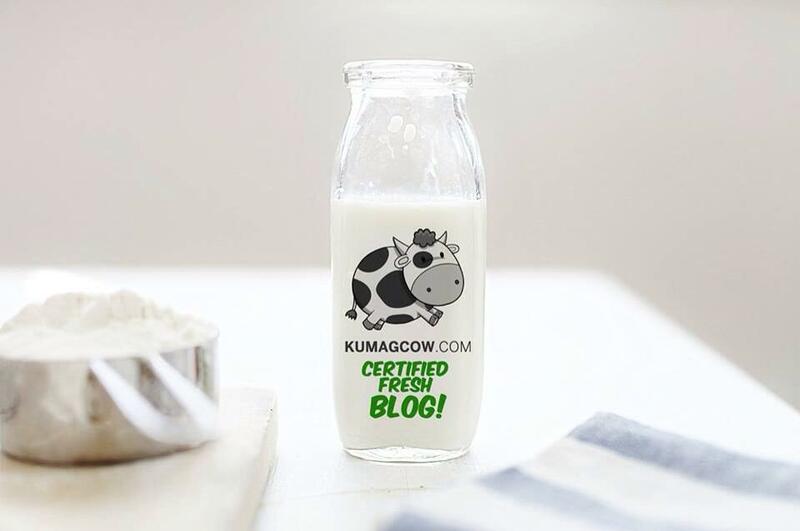 If you're finding that perfect gift for your lovely wife, this might be just it. Mind you, this hardware has got a 60mm lens and has a 0.37x real image viewfinder. You'll only see what's out there, or maybe even better. It also has a 0.6 - ∞ focus range plust 1/60 sec shutter speed and constant firing (don't worry because it's got auto light adjust) and a flash range of about 0.6m –2.7 m, so you have room to shoot those OOTD's you love and get the best prints in a jiffy. This thing retails at Php 4999.00, but it'll be worth it, best gift ever for the ladies! 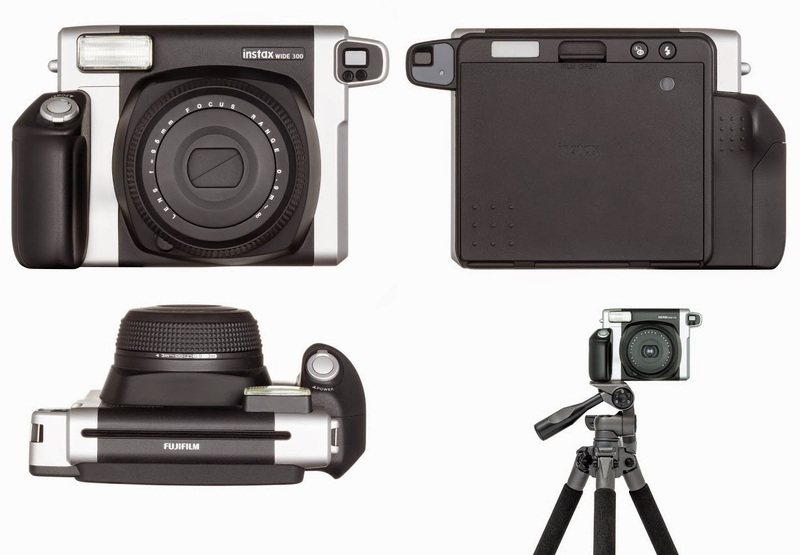 For those who have loved the Fujifilm Instax Mini 8 Instant Camera of years now, this might come as a big surprise for you. 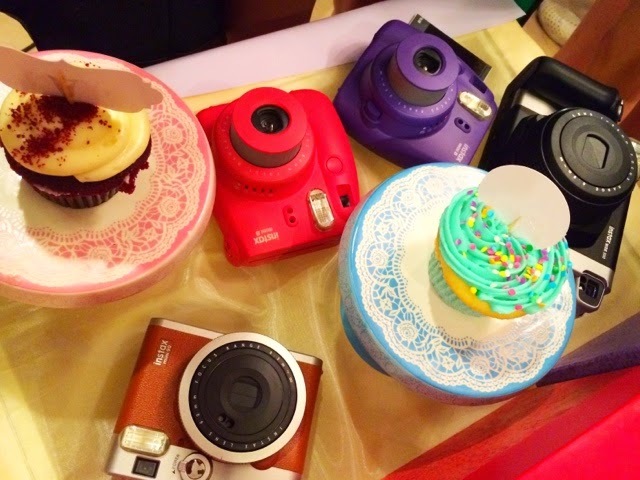 I almost thought they were thinking of soft velvety cupcakes that afternoon but it looks like they're just adding a few more lovely colors to the already great line of Instax Mini 8 cameras they already have in the store. This is the Fujifilm Instax Mini 8 Grape and Fujifilm Instax Mini 8 Raspberry. Man, I could almost see my girl shooting with these cameras on our special dates, I have yet to find her first though LOL. Though really, with this look, you'll love every bit of it. It's yummy in all sides and has got really good grip. It can even last generations but just make sure it doesn't get wet, we all know how that will ruin the moment. These gorgeous things retail for only Php 3699.00. Pretty affordable for the artsy you. This has got to be my favorite out of the bunch. It's the Fujifilm Instax Mini 90 Neo Classic. The photographer in me tells that it's got one of the most sophisticated looks out of the cameras that were launched that day. You can even put this side by side with the other cameras I have at home. The brown leather look just spells macho all over it without going overboard girly. How I wish I could have this thing along my travels and events because I'd surely enjoy taking shots with it. I hope they can lend me a unit so I can get to test it out some day. I have tons of film and it would be great to have this when I have celebrities to interview. It'll look pretty cool on the layout as well for my articles, then I could give them the hard copy as a souvenir. I'd be like the thoughtful one who gave them their photos. 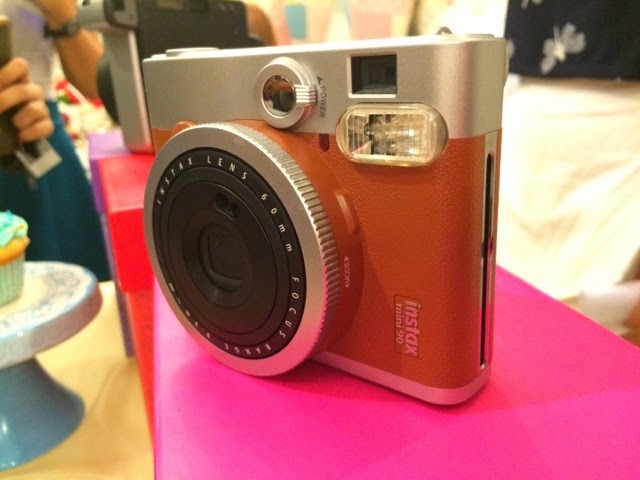 The Fujifilm Instax Mini 90 Neo Classic Instant Film Camera costs around Php 9500.00. For those who love group shots, or taking wide angled photos of their latest destinations, the new Instax Wide 300 would be your perfect companion. Made with a purpose, it's going to fit any generic tripod if you are planning to capture those spectacular landscapes you have always wished to get a shot with. You have to use the corresponding wide sized film for Instax Wide 300 so your lovely images gets immortalized the proper way. Pretty dope, it's only available in this color now (chrome-ish/Silver and black) which looks very modern in every angle. Don't worry about dark shots too much because it's also got a built in flash to compensate with non available light if you've got problems with that too. This beauty costs Php 6999.00. I had to have a few shots too you know! Now that I've got a few films in my hand, I can't wait to start shooting with my friends and family. Fujifilm Instax just takes artsy photography to a whole different level. The vintage-y feel just speaks to me, and a whole other different people that appreciate what the Fujifilm Instax can do. I laud them for continuing this art form, I admit I was a skeptic before but seeing these prints made me feel and realize it has a purpose. It might fit yours too. Go get one at Fujifilm outlets and their partner stores nationwide!